Our vacation homes in Orlando are a short easy drive to the main airport in the area, Orlando International Airport. The call letters for the airport are MCO when you are making flight reservations or checking the flight schedule. Orlando International Airport is approximately 20-25 minutes drive from our vacation homes. 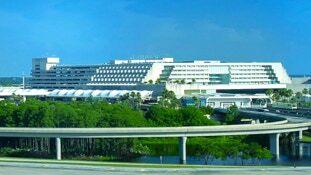 AIPORT LOCATION: Orlando International Airport is located to the North East of the Attractions Area, East of Downtown Orlando. Our vacation homes are located approximately 20-25 minutes drive from the airport. FLYING INTO THE AIRPORT: Your flight will arrive at one of the four Airsides. Domestic travelers will take a monorail to the main Terminal Building for Baggage Claim and Transportation services. International guests will collect their baggage and clear customs at the Airsides before boarding a monorail to the Terminal Building for Baggage Claim and Transportation services. THE TERMINAL BUILDING: The monorail will arrive at the Terminal Building on Level 3. Baggage Claim is located down one level on Level 2. Baggage Claim is split into two areas, A Side and B Side. Be sure to check with your flight crew which side your Baggage Claim is located on and the carousel number before you depart your flight. TRANSPORTATION FROM THE AIRPORT: All guests will proceed to the lower levels for Transportation services. Curbside pickup is also located on Level 2. On Site Airport Rental Car companies and all ground transportation (including Taxis and Courtesy Shuttles to off airport Rental Car company locations) are all located down on Level 1. 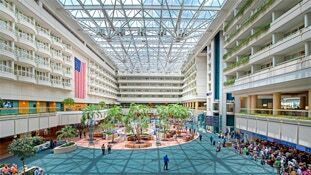 SOME HISTORY ABOUT ORLANDO INTERNATIONAL AIRPORT: Orlando International Airport started life as McCoy Air Force base, which is why the airport designator code for the airport is MCO. The Air Force base itself was named after Colonel Michael N. W. McCoy. McCoy Air Force base closed in 1974. The airport was granted international airport status in 1976 and renamed Orlando International Airport. The information provided here is purely for the convenience of guests of InnHouse. 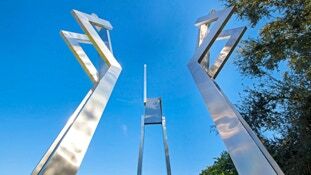 For updated information please visit the official website of the Orlando International Airport. Other nearby airports include: Orlando Sanford Airport which is approximately 1 hour twenty minutes away, Tampa International which is about 1 hour and forty minutes away and Miami International which is approximately 3 and a half hours away.